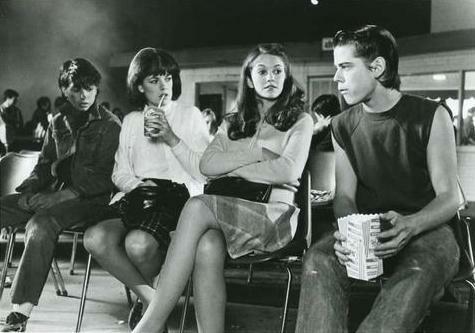 Johnny, Marcia, kers-, cherry and Ponyboy at the films. . Wallpaper and background images in the The Outsiders club tagged: photo the outsiders johnny ponyboy cherry valance marcia movie theater. This The Outsiders photo might contain bank in het park and parkbank.